Why Choose Zentai-Zentai.com to Custom Printed Superhero Costumes? Our printer is the latest fabric printer made in Japan, the high quality printer and ink guaranteed the suit has vivid color and true to its original design. Our skilled tailors have over 3 years experience in sewing the unique designed suits. (we are also the first company in China tailoring THE printed suits, we helped improving the design to make sure the pattern matches perfectly near the sewing lines ). As we offer free re-size service, you can have your suit tailor-made. PS： Some people think we “steal” patterns. We have over 400 patterns and how many you can see on our website? Author Hi.ZentaiPosted on January 14, 2016 January 14, 2016 Categories About Us, FAQLeave a comment on Why Choose Zentai-Zentai.com to Custom Printed Superhero Costumes? 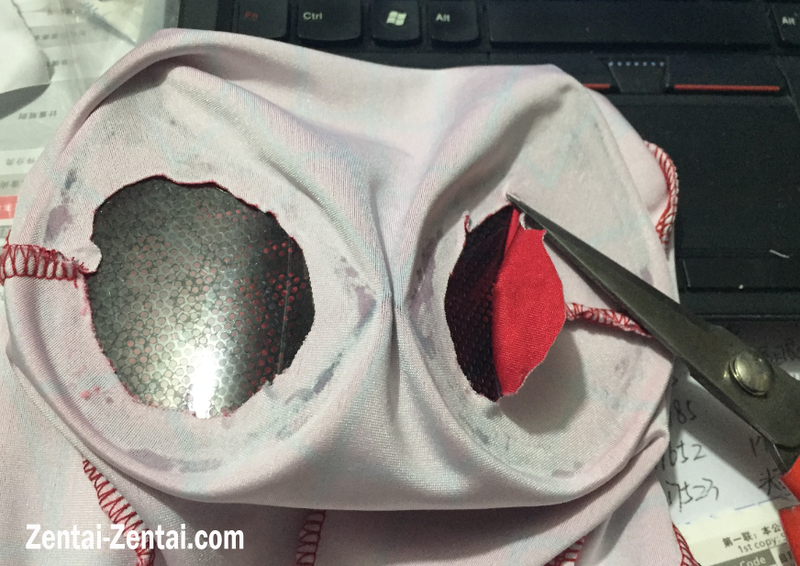 1. glue the lenses on. 3. turn it back and try the mask on. Please make sure you cut inside the frame and be careful about the cut, do not damage the mesh and frame. Sorry for the inconvenience. We noticed that some clients can not open our website. Maybe our website is temporarily blocked in some countries. If you are using Windows, find the file named “hosts” at C:\Windows\System32\drivers\etc, then open it via txt, add the three lines on the bottom of the file, save the file and restart your browser. Using google’s DNS in the connection settings. Sorry again for the inconvenience, we will try our best service you all. Thanks! Hello, and good day! I wanted to write a response to zentai-zentai.com to let you know that I had an amazing experience with my purchases off of your website. My most recent one was a M sized “white Spider-man Future Foundation” in medium mens. I must say that I was rather unsure about sizing a first. Some vendors or retailers have large as an average size for me, whereas in others I take a medium. After some thought, I decided to email your website. When I did express my concern about sizing, I got a response very quickly. Within a day. I was impressed! My package was already shipped out, and I couldn’t change sizes, however I was granted a promise of 30% off for a size up if I chose to order again. I thought that was rather awesome as well. It took just under 5 weeks, but I was in no rush for my package. I found it easy to know what the status of my purchase was by simply logging into your website with my username and password. I could see if it was processing payment, shipped out, and if a tracking number was provided. I could also use this tracking number at sites like Canada post or UPS, and had no difficulty gaining access on delivery time either. 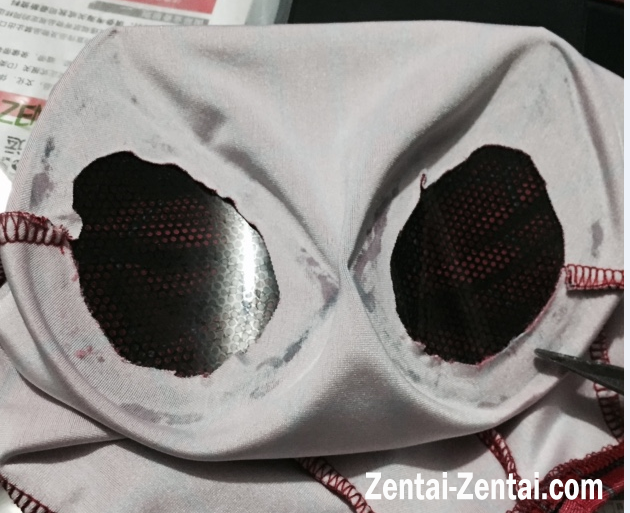 I must say it was a good experience, and I will definitely be making many purchases from your manufacturer at zentai-zentai.com in the future. I am a local Spider-Man model in Edmonton, Ab, Canada. I work with organizations like Stollery Children’s Hospital, Comic Cons, and Comic and Toy Shows. I was recently featured in the Metro Newspaper as well. I make my own suits as well. I also incorporate water shoes (so material won’t brake down when in wear), and provide airbrushing for muscle detail and to help bring the suits to life. Thanks to zentai-zentai.com, you have helped make some of my visions a reality. Here are some samples from your website that I have used as templates, then taken and altered myself! Thanks guys! And this is my most recent purchase from your website! White Future Foundation Spidey!!!! Love it! I heard there was a costume contest of you send a customer service response and some pictures. Thanks so much zentai-zentai.com for your awesome lineup of inventory and amazing customer service, email responses, and consistent updates with item tracking. What a super fun and easy experience! Some clients want to add soles on the zentai suit to make it more durable or walk without slipping. After requested by a client, we added the sole once. But it did not turn out as we expedited. 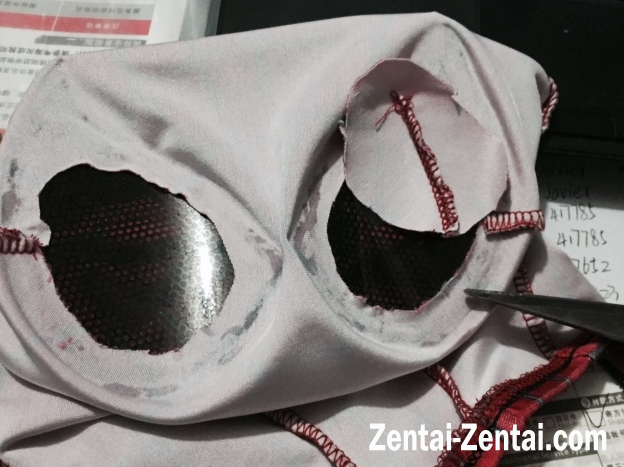 So we googled the ways people do to add the soles to the zentai suit and other bodysuits, we find the best way to do it and which should be done by the client himself/herself. 1. order the zentai suit you want. 3. cut the soles off the sport shoes and put some glue on them. 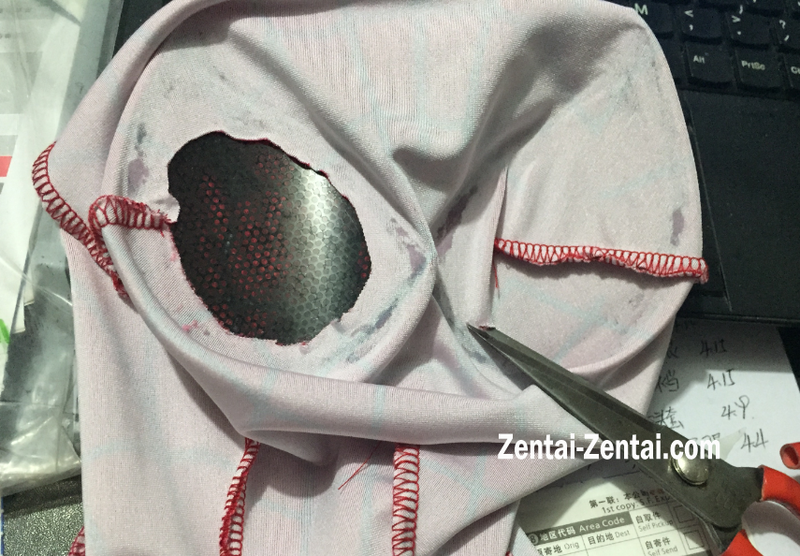 4. wearing your zentai suit and step on the soles and it is done!